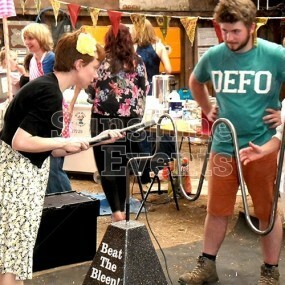 You’ve never seen anything quite like this! See the addiction take hold when two players frantically pump away as they try to inflate their balloon the quickest and make it go BOOM as it hits the balloon bursting arcs. 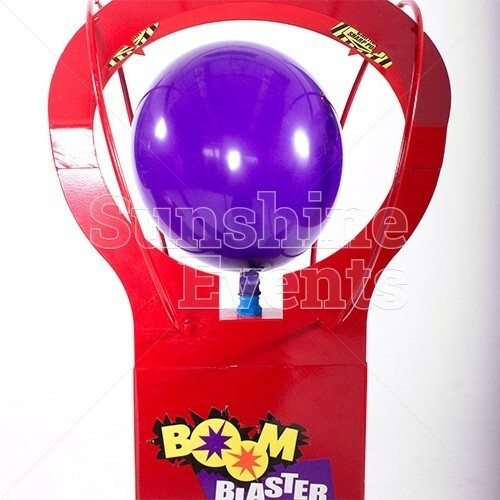 The first to burst wins; it's that simple and it's that fun! 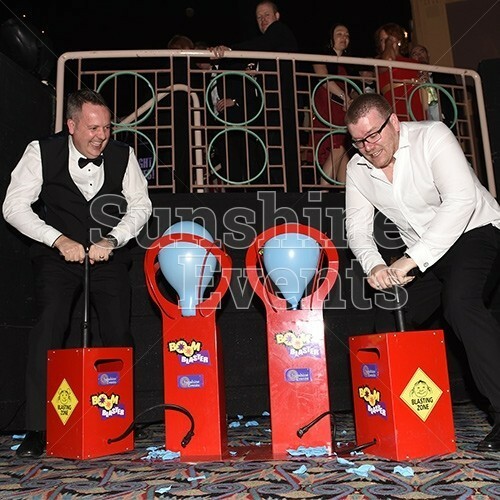 We guarantee a fun evening of entertainment, just be sure to hire enough balloons for your event because once you pop, you can't stop. 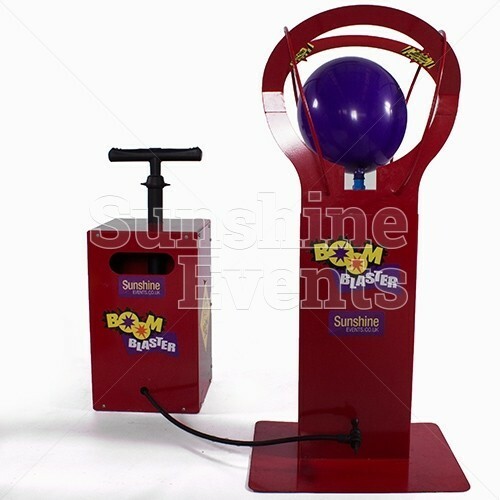 The Boom 'Balloon' Blasters Hire is a great competitive game that would be at home at a Team Building event, either as a one-on-one battle where two team race to burst more balloons that their opponents or as a timed team relay event where team members take turns to burst as many balloons as they can in an allotted time. 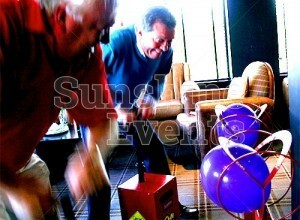 Or there’s always the option to just let it rip and go mad, bursting balloons like there’s no tomorrow! 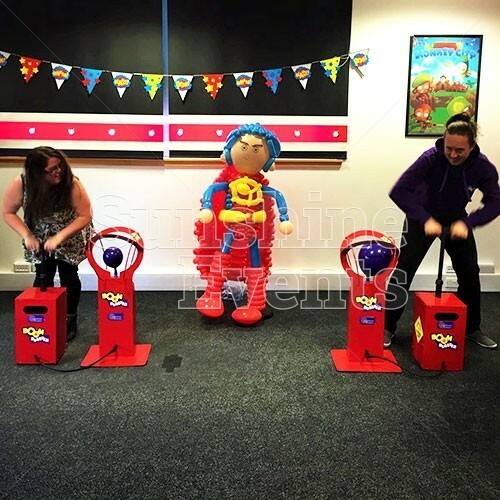 Every Boom 'Balloon' Blasters Hire comes with loads of balloons to blow up and burst so you won’t run out (unless you’ve got some really fast ’pumpers’ in your group), but if you wanted to use your own branded balloons you're more than welcome! 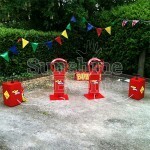 You could even brand the base of the equipment to really drill ome your brand image. 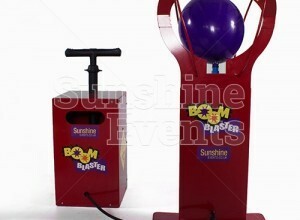 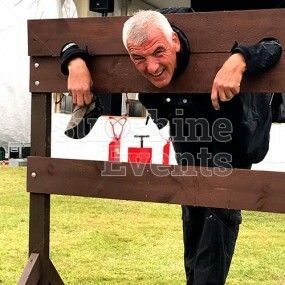 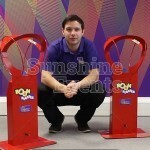 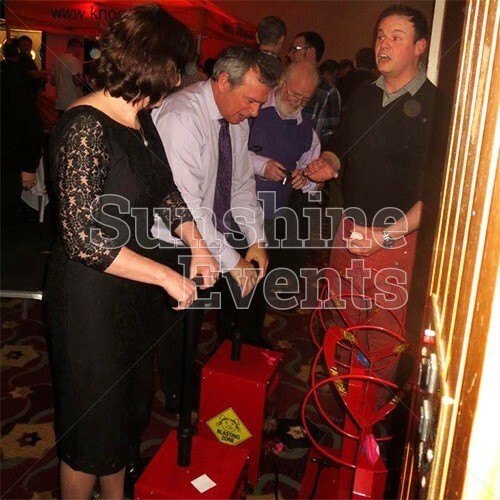 What events are Boom 'Balloon' Blasters Hire suitable for? 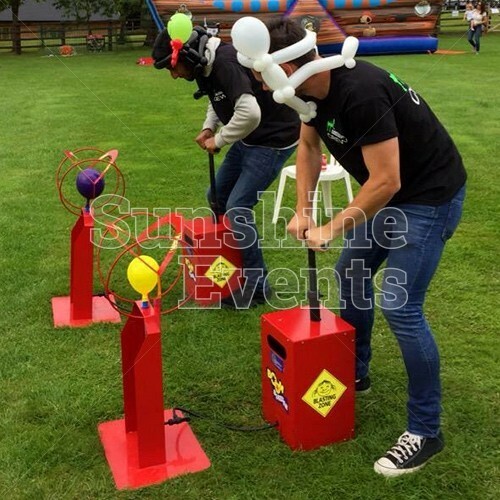 The highly competitive nature of the Boom 'Balloon' Blasters Hire makes it superb for Team Building events, but it’s also the perfect equipment for younger guests who love making things explode! 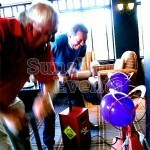 So get your balloon onto the valve and start pumping away! 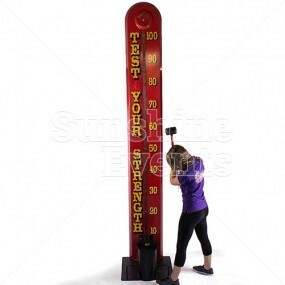 You’ll need all your strength and plenty of rhythm to make this one POP! 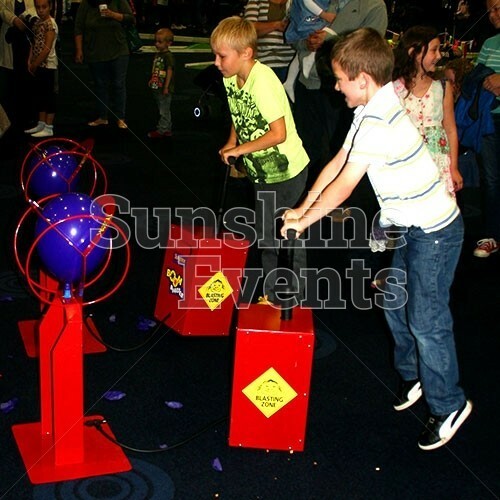 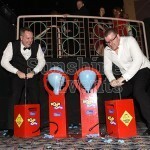 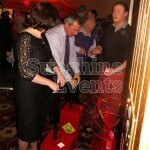 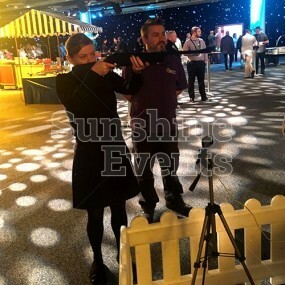 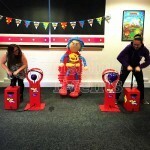 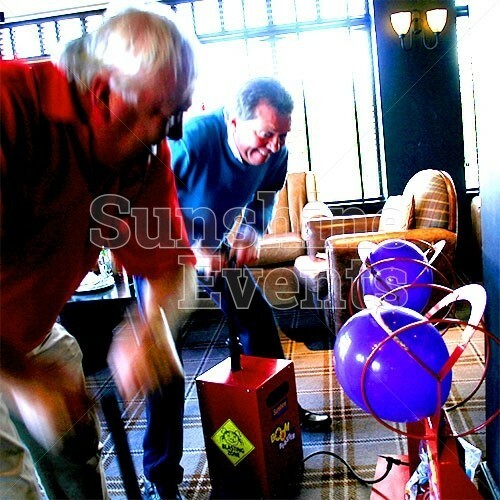 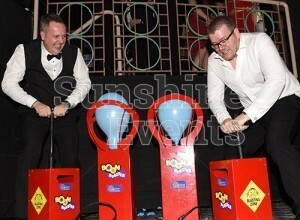 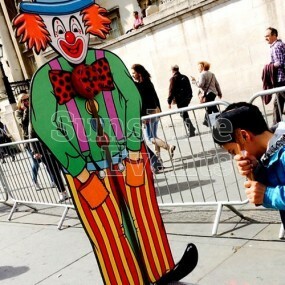 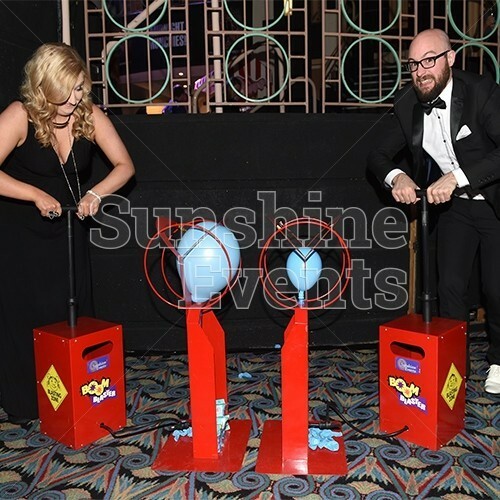 Boom 'Balloon' Blasters Hire has been added to your Event Quote.